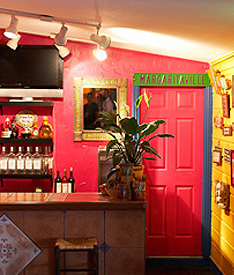 The interior of this longtime Tex-Mex favorite has been fancified (new paint, etc. ), but the brisket tacos are still hearty and delicious. Lola’s Special, a simple platter of three chalupas—bean, queso, and guacamole—still satisfies. Service is as efficient as ever, so you can be in and out in less than an hour at lunchtime, but you can still linger over margaritas at dinner.